It’s gonna be an interesting match between Lee Chong Wei and Lin Dan. It’s gonna be war between them. Will Lee Chong Wei able to take down Lin Dan and get home with RM1 Million? I really hope Lee Chong Wei able to make it despite all the stress and under pressure by all the China supporters? Lin Dan is famous for his powerful smash and Lee Chong Wei is famous for this skills. Lin Dan is world number where else Lee Chong Wei is world number two. So it will be World No.1 vs World No.2! It’s going to be a tight match. Lin Dan vs Chen Jin in semi and Lee Chong Wei vs Lee Hyunil in semi. 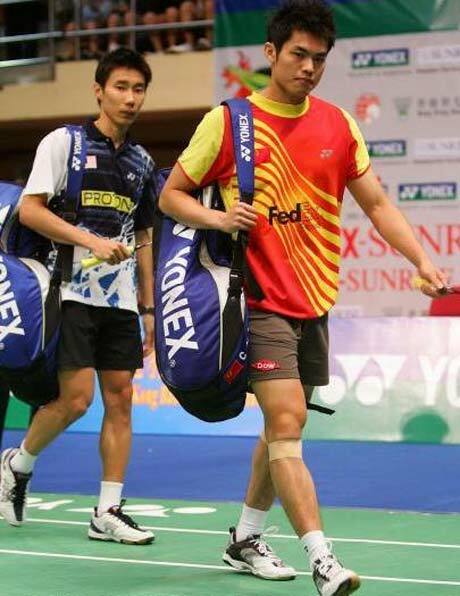 Lee Chong Wei was exhausted in this match because he played for 3 matches and Lin Dan just play for two matches. Lin Dan won easily because his opponent is from China too. Will it be also another fake incident where Chen Jin was instructed by their coach? So that Lin Dan can preserve his strength and power to fight against Lee Chong Wei. Is this sportsmanship and fairness? LEE Chong Wei made history when he became the first Malaysian badminton singles player to reach an Olympic final at the Beijing University of Technology Gymnasium last night. The 26-year-old made sure Malaysia will return home with at least a silver medal after barren outings at the last two Olympics by battling past South Korean Lee Hyun-il 21-18, 13-21, 21-13 in the semi-finals. Chong Wei has now bettered Rashid Sidek’s bronze medal achievement at the Atlanta Games in 1996. Victory leap Lee Chong Wei jumping towards his coach Misbun Sidek after beating South Korea’s Lee Hyun-il in the Beijing Olympics badminton men’s singles semi-final to assure himself of at least a silver medal in the Games. The men’s doubles pair of Cheah Soon Kit-Yap Kim Hock also delivered a silver medal for Malaysia that year but tomorrow, Chong Wei has a chance to go one step better when he takes on top seed Lin Dan of China, who beat compatriot Chen Jin 21-12, 21-18. But that mouth-watering finale almost didn’t happened as Hyun-il gave the Malaysian some anxious moments. Chong Wei gained early control but Hyun-il caught up to 18-20. But the Malaysian earned victory when his rival lobbed the shuttle wide. Hyun-il, winner of the Korean and German Opens this year, turned on the power in the second game when he won 11 points in a row to eventually force the match into the rubber game. In the decided, Chong Wei led 8-1 before the tenacious Korean clawed his way back to 11-15. But Chong Wei, spurred on by shouts of Malaysia Boleh from the pockets of Malaysian supporters, regained the big lead again. At 19-11, Chong Wei knew he was on the brink of a famous and historic win. And when he did get the winning point, Chong Wei collapsed to the ground in sheer joy and relief. He then got up, ran over and jumped onto his coach Misbun Sidek’s arms. “The huge pressure is off me! I have made sure of winning at least an Olympic medal. I dedicate this to my coach, who gave everything to prepare me for these Games,” said Chong Wei, who only reached the second round in his Olympic debut in Athens four years ago. On losing second game, Chong Wei said he just could not keep up with his opponent. “He played at a very fast pace and I could not follow him. I made mistakes and I just prepared myself for the final game,” said Chong Wei, who now has a shot at the RM1mil incentive that has been promised by the government for any athlete who returns with an Olympic gold medal. But more than that, it is his chance to gain Malaysian sporting immortality and bag what many athletes can only dream of. The partisan crowd will be on Lin Dan’s side tomorrow but one thing is for sure, Malaysians can expect Chong Wei to go all out to bring home Malaysia’s first Olympic gold medal. Lee Chong Wei (Simplified Chinese: 李宗伟) (born October 21, 1982) is a professional badminton player from Malaysia. He was born in Parit Buntar, Perak and later moved to Bukit Mertajam, Penang. He received his early education at Jit Sin Primary School (B) and continued his secondary education at Sekolah Menengah Kebangsaan Berapit. He was admitted to Bukit Jalil Sports School then to complete his Form 4 and Form 5 studies. Wong Mew Choo, a Malaysian badminton player, is his girlfriend. Lin Dan (simplified Chinese: 林丹; pinyin: Lin Dan) (born October 14, 1983) is a men’s singles badminton player from Fujian, the People’s Republic of China. Lin is currently the most dominant singles player on the world stage. He has been ranked number one in the world almost continuously since 2004, winning many of the world’s top tournaments. In October 2006, Lin Dan regained his ranking as #1 in the world, after a short period of being ranked behind Lee Chong Wei of Malaysia. 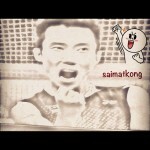 chong wei is gonna whack the hell of that high esteemed arrogant lin dan! i’ll cheer him until my lung gives out! arrogant lin dan just got a title and he’s a copycat.. but lee chong wei is the best..
Lin Dan jia you! u r the best in the world! Thanks. the pictures are very funnyyyy and beautiful! I LOVE BADMINTON!